We’ve partnered with VIPKid to reveal how women all over the United States are starting new careers, all from the comfort of their own homes. Modern technology has completely transformed the classroom. Instead of chalkboards, today's lessons are presented on shared screens. Instead of handing in homework on lined notebook paper, today's students submit digital assignments. Instead of taking the bus to school, students can just boot up their laptops. That's the premise behind VIPKid, the online learning platform that connects students in China with English teachers in the United States. There's no schoolhouse or even physical classroom: when it's time for their one-on-one English lesson, students just log on to the portal. It's not just convenient for the students — the opportunity to work from home and still gain experience is even more appealing to aspiring teachers. Anyone with a bachelor's degree and the right attitude can apply to become a VIPKid teacher. Here's how it works: potential teachers apply online, then complete a short video interview and demo lesson. Once approved, you can start teaching! VIPKid has already developed a curriculum, so teachers just need to review each lesson plan before class begins. Even better, teachers can set their own hours and work from anywhere with a good internet connection. 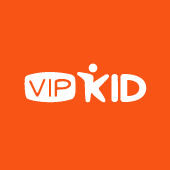 The best part about VIPKid isn't the convenience (although that can't be beat as a side hustle or full-time career), it's really the connection between teachers and students that makes the platform something special. Just like they would do in a physical classroom, VIPKid teachers build real relationships with their regular students. They know their students' favorite colors, foods, and animals — even their hopes and dreams. There aren't many jobs out there that allow you to connect so closely with children and young people living 6,000 miles away. The lessons are also extremely impactful for the students. Learning English can help them perform better in school, get into better colleges, or even further their career goals. At the end of each lesson, VIPKid teachers log off knowing that they've helped make each student's future a tiny bit brighter. What could be better than that?